Project Red Leaf’s objective is to grow a conservative voter base on college campuses across the United States. It is based on the belief that increasing the number of registered conservative voters on college campuses will positively impact local, state, and national elections, giving conservatives a better chance of winning or retaining seats. Project Red Leaf (PRL) is a national network of certified Third Party Voter Registration Organization’s (3PVRO’s). For example, Project Red Leaf – University of Tampa is a 3PVRO registered in the State of Florida (ID#13-1). So, PRL has been legally approved and is acknowledged by the state’s Supervisor of Elections. This is what provides the permission needed to register people to vote in local, state, and federal elections. 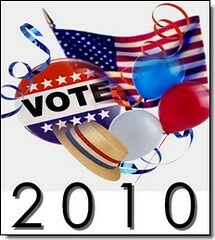 How should we decide to vote: by heart, mind, or use patterns in scriptures, known as Bible Code, for divine guidance? During election time, politicians say what they think people want to hear. Instead of saying, "I will raise taxes," they may say they will lower taxes, with the intent to act in a reckless or intentional way to cause the opposite to occur from their promise, such as taxes to go up. Many citizens classify politicians as liers and deceitful people. As Christians, how do we stand on politics, both in our hearts and in our prayers? Do we vote for who entices us with the most emotionanlly-charged rhetoric, or do we usually vote for the honest candidate who appears negative, probably reeks of pessivism? I personally find myself voting for those who are positive and give a sense of hope. But should Christians trust their feelings, their judgment, or something else? What else is there to trust? I think the Hebrew source text for the Christian Bible, the Torah, has codes to help us answer this. I hope so, because I trust my life to LORD Jesus Christ's hidden, encoded messages. Roberta Combs, our President, and every leader of the Christian Coalition have hearts full of great gratitude for all of your prayers and support during this critical season in America and our future. We are very thankful for your dedication and love for our country, this organization and the future of our children and grandchildren. Your part in this organization is very critical and we cannot express to you the importance we know you have been in the success of anything we have accomplished for the Lord and our nation. Thank you. As our newly elected officials take office, continue to lift them up and ask the Lord to fill them with Godly wisdom and boldness to stand for what is right and good for us as a nation. Pray the Lord will be acknowledged again in the decisions made by our leaders. Pray for the President and his cabinet. Pray the Holy Spirit will bring conviction to our elected officials hearts in Washington of who He is and wants to be in their life. We as Christians must never forget the Lord God and His power to redeem and deliver as we daily see the stability of America degenerating before our very eyes. Our God is alive and hears the prayers of His people. We must never let the fear of man bring a snare to any one of us because our faith is not in man but God Almighty. Our President Roberta Combs and staff here at the Christian Coalition of America want to encourage you to continue to pray and get involved in the issues facing America and in our campaign "LETS TAKE AMERICA BACK". We need each one of you to help us spread the word to help in our endeavor to save America. We all have a Godly obligation to be involved in our freedoms that we have taken for granted through the years. Please pray for all elected officials and the upcoming elections, starting in Washington, DC down to our local elected officials. Pray for Christians full of Godly wisdom to be elected. Pray for Israel and her protection and our military and each family, for safety and blessings, especially for the children of our military families. Pray for all terrorist to be exposed and dealt with. Pray that all threats to America be uncovered and dismantled. Pray for the National debt. Please pray the fear of God Almighty fills the hearts of any one that would hurt America or take advantage of us. Will a 5-point Dem victory turn the U.S. House over to the GOP? The Christian Coalition of America publishes its 2009-2010 Congressional Scorecard this week and it was revealed that several Democrats had earned 100% scores which has been very unusual in recent past years. However, since the 2008 election, Speaker Nancy Pelosi has had a huge cushion of votes to enable her to cram down the throats of the American people much extreme left-wing legislation. She has also had the luxury to allow some of her moderate Democrats to vote against her party in key votes. Pelosi's cushion of votes include many in the 60 congressional districts now in Democrat hands which President George W. Bush and/or Senator John McCain won in 2006 and 2008. Many of these congressional districts are expected to switch back to the Republicans in this Novemb er's election. As the House Republican Leader John Boehner said recently: "Democrats won Congress in 2006 and the White House in 2008, and all we have to show for it is more debt, more government, and fewer jobs." Celebrate Independence Day by registering voters! This Sunday is Independence Day, and in honor of our country’s birthday we encourage you to participate in our Citizenship Sunday registration drive. Statistics show that only about half of all self-identified Christians are actually registered to vote, which means that they do not have a voice in our government. You can help change that by holding a “Citizenship Sunday” registration drive at your church. Join our campaign to Take America Back! This week the Coalition launched its "Take America Back" campaign - and we challenge you to get involved! Have you had enough of politicians that ignore you and ignore your values? Are you hungry for a return to our country’s founding principles and for elected officials who will represent the will of the American people? If so, we invite you to join our campaign to identify millions of conservative Christians and educate them on where the candidates stand on critical issues – before they go vote on Election Day. We know what happens when conservatives don’t get involved and show up at the polls. The result is that our values are attacked and we risk losing a little more of our liberty. In other words, who we elect matters. The evidence screams at us in the daily headlines. Voters in Texas made it unmistakably clear how they feel about their right to publicly acknowledge God in their primaries yesterday. The result? 95% YES, 5% NO. How's that for being clear about where the people in this country stand on questions of religious liberty? I think it's safe to say we have a consensus on this issue...despite what the folks who run radical left organizations like the ACLU and the Alliance for the Separation of Church and State may say.